Castlebar - County Mayo - Conal Gallen to film new DVD in The Royal Theatre! We are delighted to announce that Conal Gallen will be filming his performance in the Royal Theatre on February 9th for his brand new DVD. 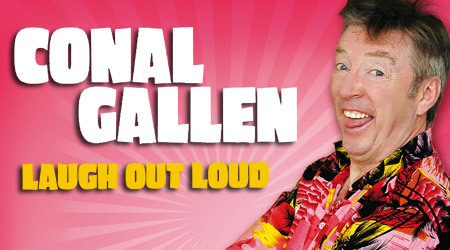 Just coming off the back of his record breaking stand up television show Conal Gallen - Laugh Out Loud, Ireland’s number one comedian is coming to the Royal Theatre, Castlebar, for what promises to be one of the funniest shows you are ever likely to see. After his sell-out Tour in Autumn the comic makes a welcome return to one of his favourite venues. Tickets, €30.00, on sale now from Ticketmaster outlets online & nationwide and from the Royal Theatre Box Office on 0818 300 000 or 094 90 23111.